In 2016, Paul (The "Can you hear me now?" guy) switched to from Verizon to Sprint. People loved it. 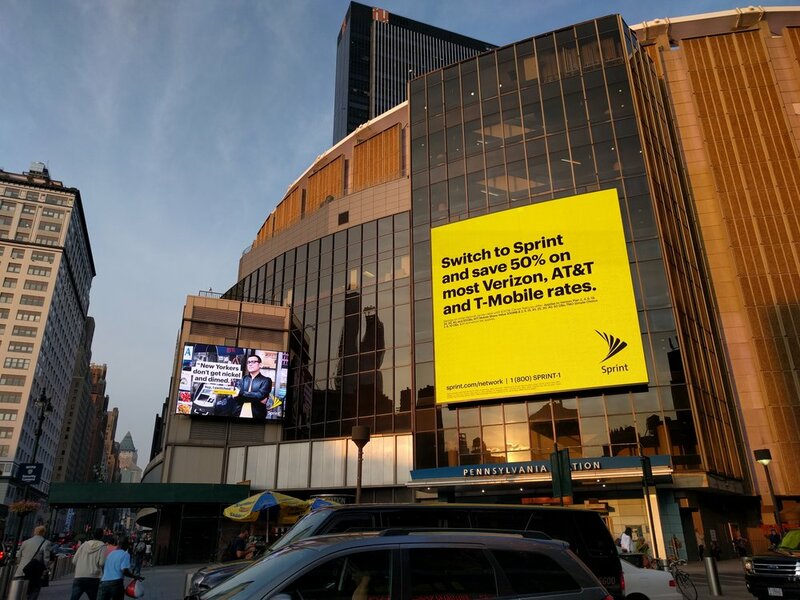 So, to encourage New Yorkers to switch to Sprint, we created an outdoor campaign channeling a classic New Yorker trait: They know a hustle when they see one. We shot Paul in front of renowned city hustles – Times Square, a pedicab, and a bodega ATM, and paired it with cheeky headlines to remind savvy New Yorkers not to “get hustled” into paying double for a 1% difference in network reliability. The campaign featured on digital and out-of-home ads such as Madison Square Garden, Bryant Park, Port Authority and Barclays Center.